Emerging-market growth helps developed Australia sidestep pitfalls affecting larger developed markets. Boston, December 11, 2013 – Long a staple in developed-market indices but boasting economic growth numbers more closely resembling an emerging market, Australia is a study in dichotomy. 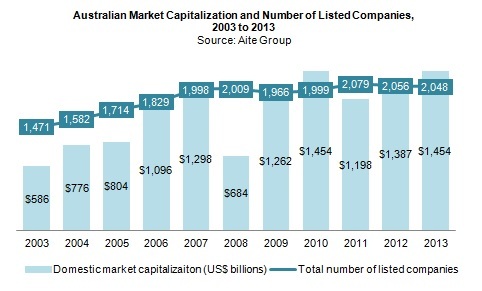 In large part a result of impressively growing trading activity, the Australian equity market has recently experienced a significant evolution in market structure with important implications for various aspects of trading and regulatory oversight. But what drives strong market performance and structural transformation in this uniquely stable capital market "down under"? This report explores the complexities of the Australian capital market, beginning with the country’s fortuitous economic positioning through the recent years of global economic turmoil. It is based on Aite Group interviews with executive-level representatives from industry participants. This 33-page Impact Note contains 18 figures and six tables. Clients of Aite Group's Institutional Securities & Investments service can download this report.